How can I use BART? The diagram below shows the equipment that is deployed within the BART Testbed and how the testbed is physically configured. 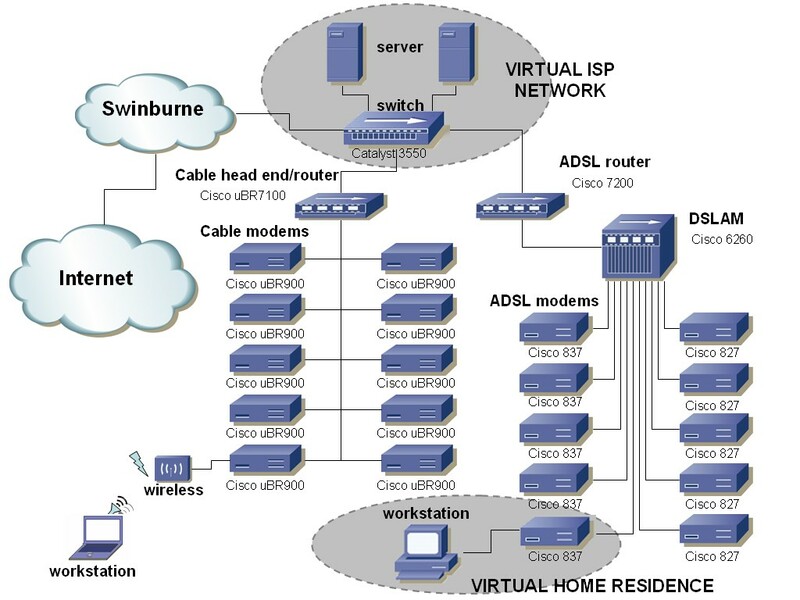 Within this environment, we are able to run a number of concurrent virtual ISP configurations which can be connected either to a private/virtual Internet or to the real Internet through the general Swinburne University network. Different servers can be configured to run within the virtual ISP network. For more information on the capabilities of the BART testbed, see here.